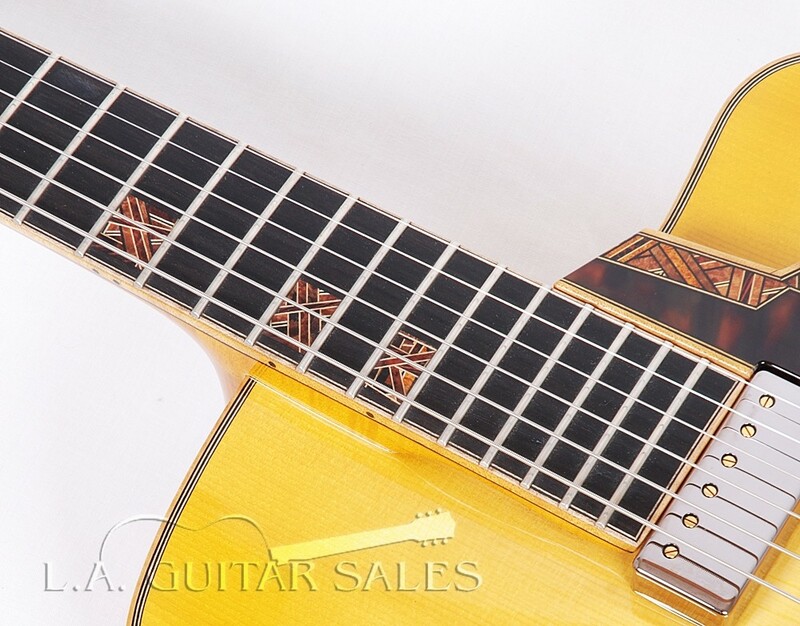 This is the Custom Shop edition of Eastman's AR905CE with Gold Lollar Johnny Smith Pickup, custom setup and fretwork, and master grade solid wood inlays all done by Eastman's master luthier Otto D'Ambrosio. 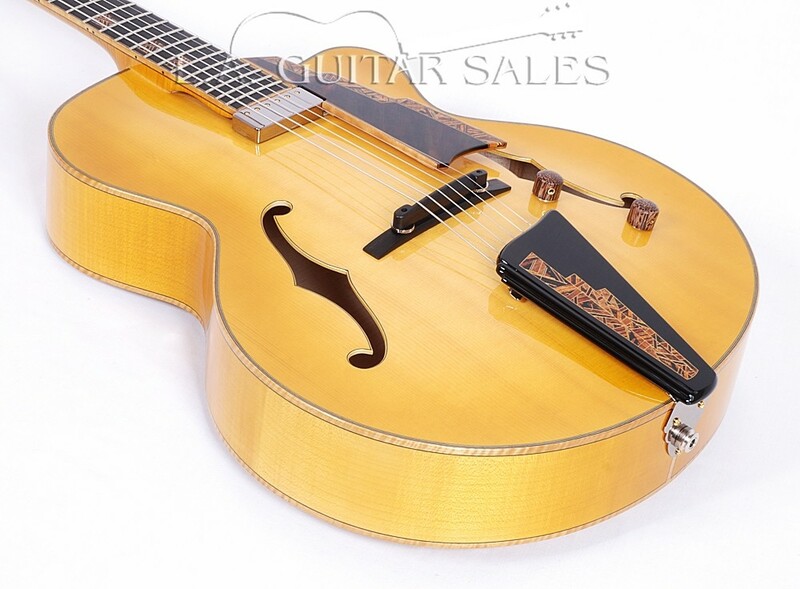 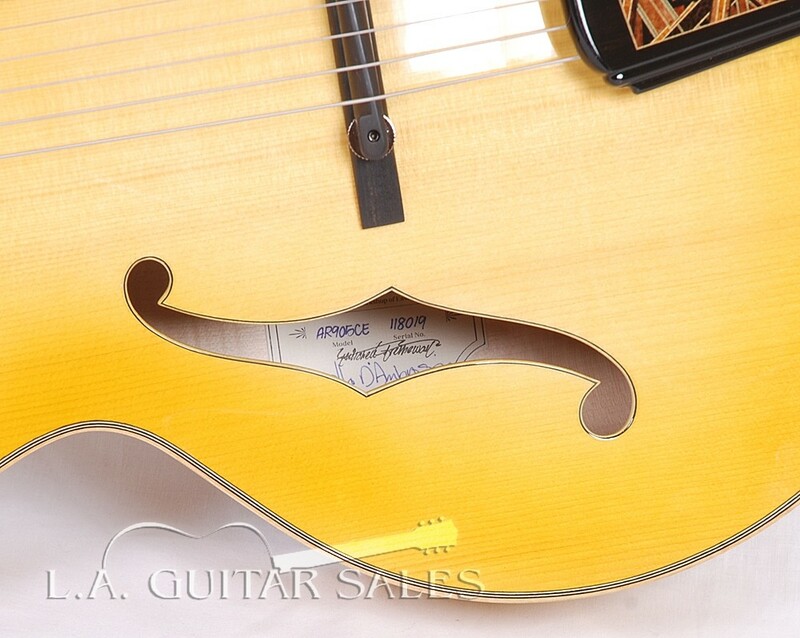 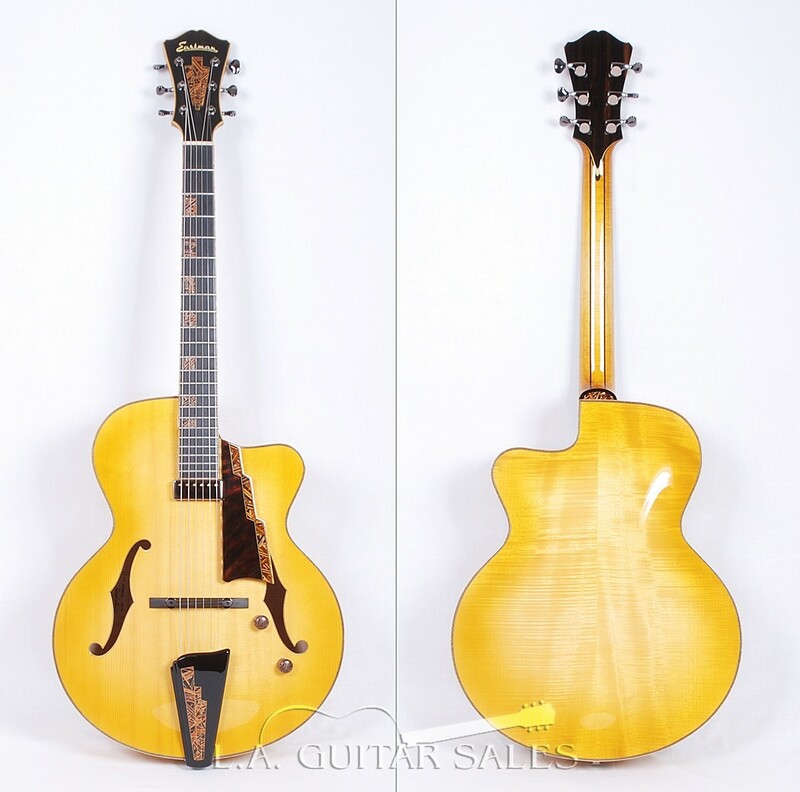 Fans of traditional or modern jazz will feel right at home with our handcrafted take on archtop guitars. 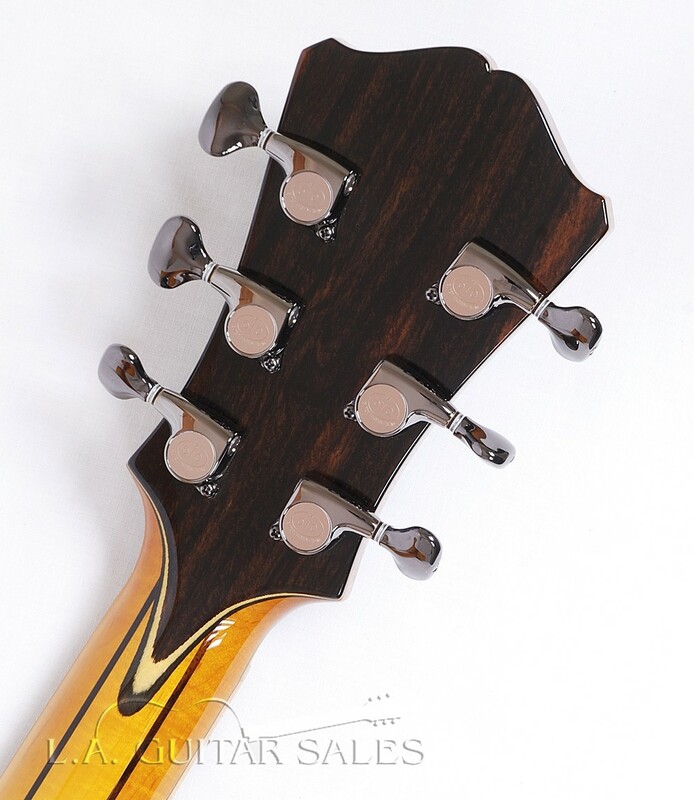 We’ve brought classic designs to life and into the hands of legendary players like John Pisano and Frank Vignola. 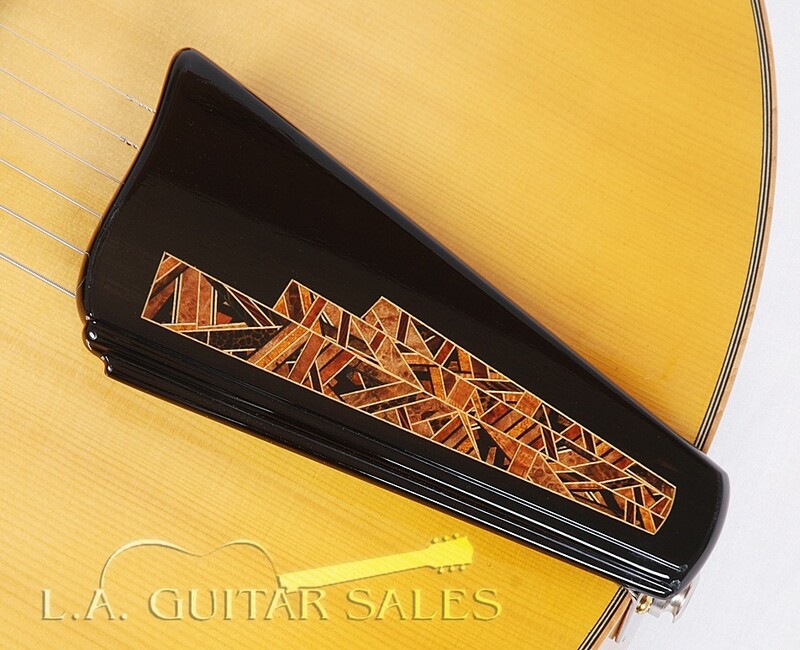 Eastman offers three different construction options with three different sounds and functionalities. 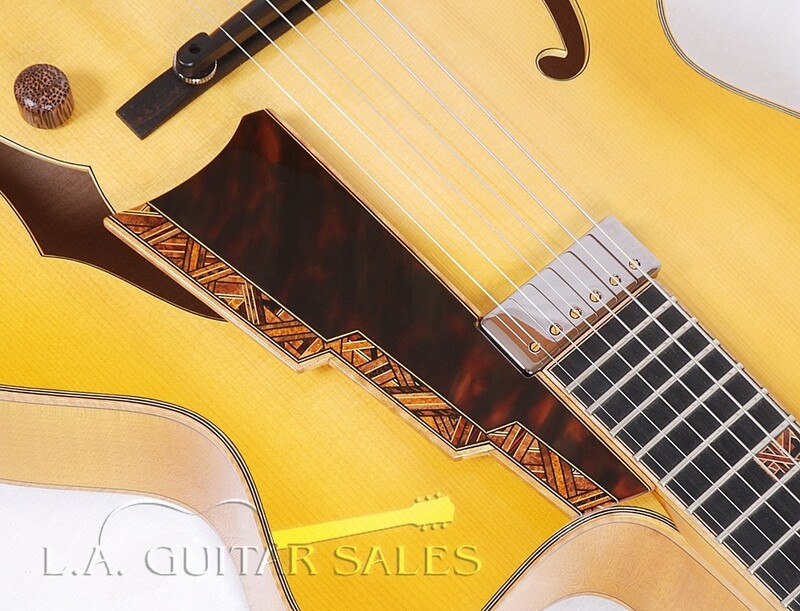 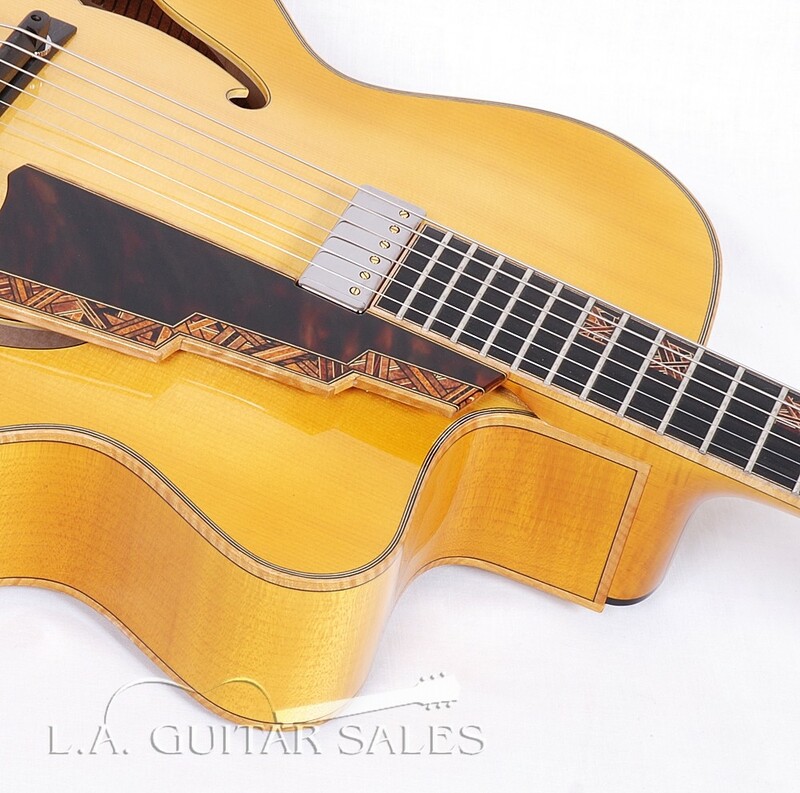 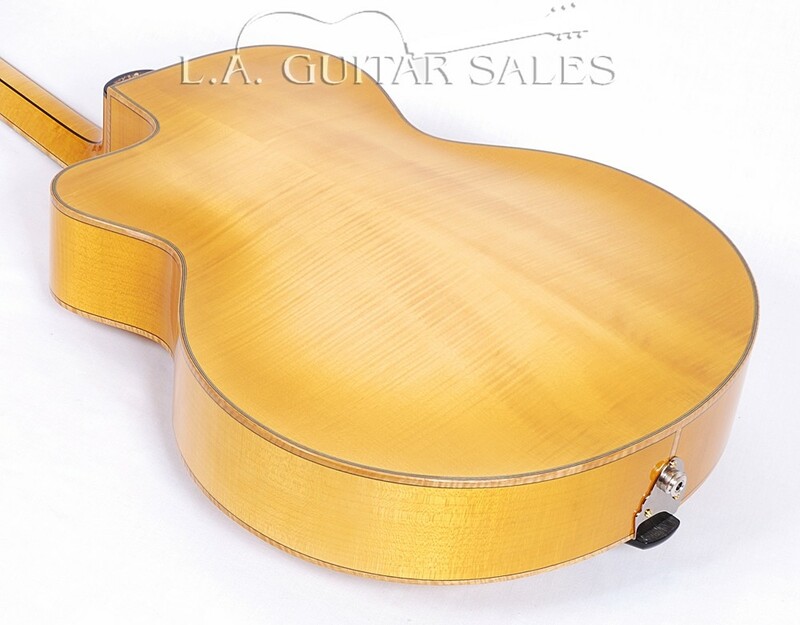 1st Fret String Height :.022"
This is the Custom Shop edition of Eastman's AR905CE with Gold Lollar Johnny Smith Pickup, custom setup and fretwork, and master grade solid wood inlays all done by Eastman's master luthier Otto D'Ambrosio . 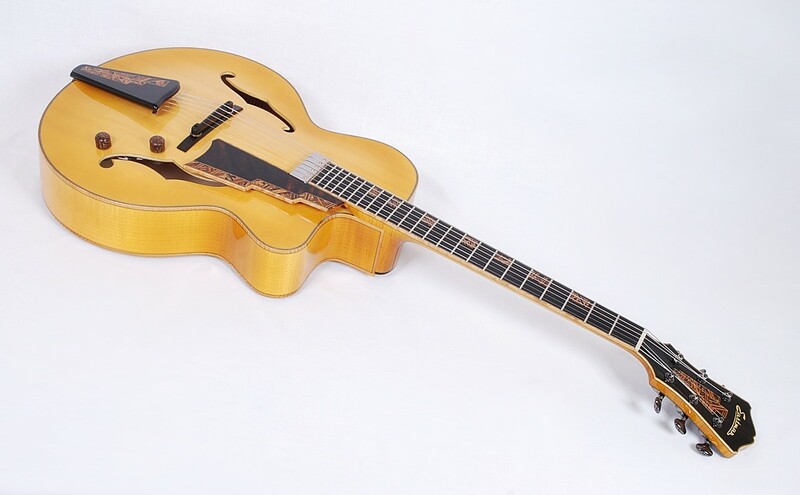 Fans of traditional or modern jazz will feel right at home with our handcrafted take on archtop guitars. 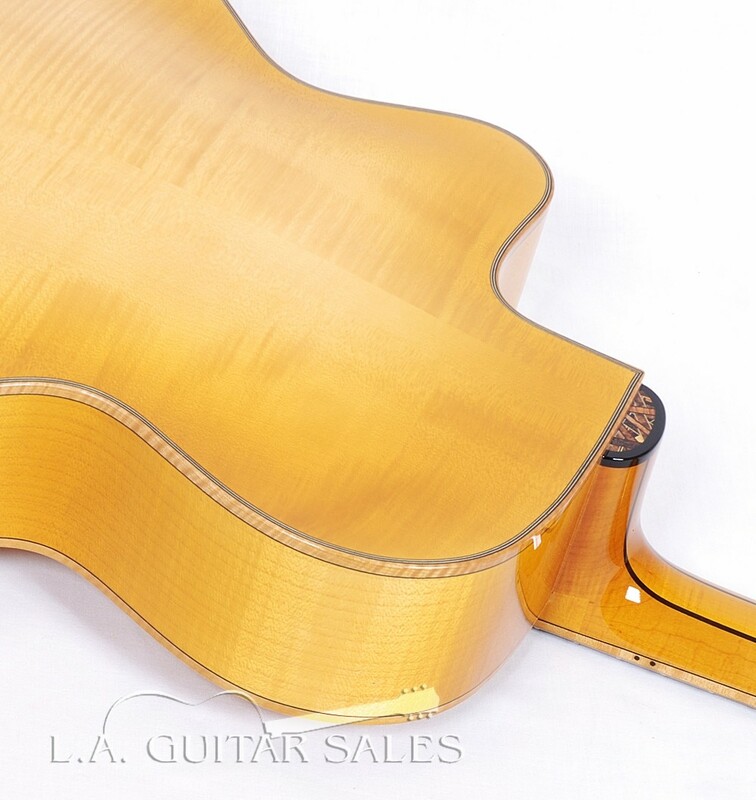 We’ve brought classic designs to life and into the hands of legendary players like John Pisano and Frank Vignola. 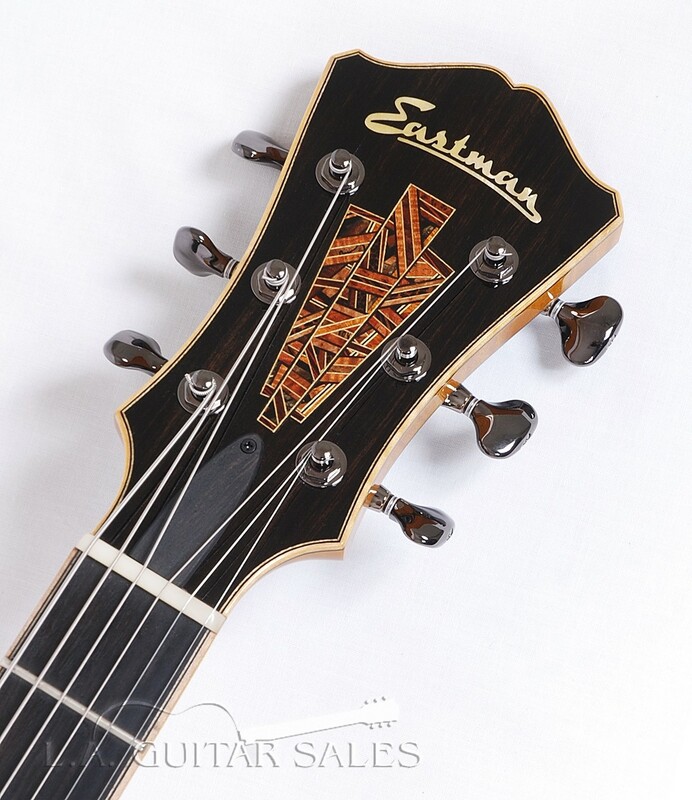 Eastman offers three different construction options with three different sounds and functionalities.